Whitney White (better known to her millions of followers as Naptural85) has been dominating YouTube since 2008, when she chopped off her relaxed air and decided to document it’s growth. When White started making videos, YouTube wasn’t yet monetized and she wasn’t getting paid by sponsors either. 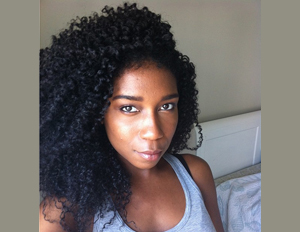 White made natural hair videos out of a simple passion for her hair. YouTube has become, not only a community for like-minded black women to come and share beauty tips and explore their natural mane, its also a place where they are able to earn a living by assisting major brands in navigating the natural hair world. White’s love for the hobby paid off. According to Business Insider, White now make twice as much as a YouTuber than she did as an entry level graphic designer. The black hair industry is now a $2.7 billion business and has seen a 7% increase since 2013, according to a 2015 report by market research firm Mintel, and can expect “more robust growth” in the next five years. White tells Business Insider that her partnership with hair mecca Carol’s Daughter, is one of her most cherished relationships. But even when she’s taking on sponsored deals, White makes sure to remain transparent and authentic to the products that she likes. To learn more about White and her YouTube empire, click on ‘source’ also check out one of her videos on our ‘source’ page.